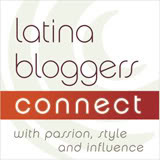 This post is compensated and in collaboration with Latina Bloggers Connect. November 17th is World Prematurity Day, a day dedicated to raise awareness on prematurity, the risks associated with preterm birth and a day to remember parents of preemies. Preemies (born before 37 weeks gestation) are at an increased risk for serious medical complications and generally require days to months of care in the NICU. This can be extremely difficult on any parent. I personally experienced this as a young mother when Jeremiah was born. He had to be rushed to the NICU hours after being born (full term) due to blood complications and I can still remember how overwhelmed, scared, anxious and powerless I felt. Seeing your newborn in the NICU can be very emotional. I prayed all the time for Jeremiah to come home and when that time finally came I remember how thankful I was. We were able to leave the NICU after just one week but seeing all the babies that would have to stay longer due to more severe complications, most from prematurity was very sad. Prematurity disrupts the development of some of baby's vital organs which includes their immune system and lungs making them more likely to develop infections and more susceptible to respiratory problems. One virus in particular that parents of preemies should know about is respiratory syncytial virus, known as RSV. Most kids will get RSV by the time they are two but usually with minor symptoms similar to a cold. Preemies however will have a more serious respiratory infection with more serious symptoms. RSV is the leading cause of infant hospitalization, and severe RSV disease causes up to 10 times as many infant deaths each year as the flu. RSV is most prevalent during the winter months. The CDC has defined the “RSV season” as beginning in November and lasting through March for most parts of North America. In addition to prematurity, common risk factors include low birth weight, certain lung or heart diseases, a family history of asthma and frequent contact with other children. The current rate of preterm births in the U.S. Hispanic community is 11.66 percent. Since 2006, the preterm rate has declined 5 percent for Hispanic infants. Data indicate that infants from U.S. Hispanic communities are at increased risk to develop severe RSV disease; while the exact reason for the increased risk is unknown, the increased prematurity rate is likely a contributing factor. Two-thirds of U.S. Hispanic mothers have never heard of RSV, and one in five U.S. Hispanic moms only becomes aware of RSV once their child has contracted the virus. To learn more about RSV, visit www.rsvprotection.com and for more about the specialized health needs of preterm infants, visit www.preemievoices.com. You can also join the conversation online #WPD2012. Let's take the time to educate an expecting parent, say a prayer or think good thoughts for families with preemies on November 17th World Prematurity Day.